The Dungeons and Dragons Starter Set for 5th Edition released on July 3, 2014. 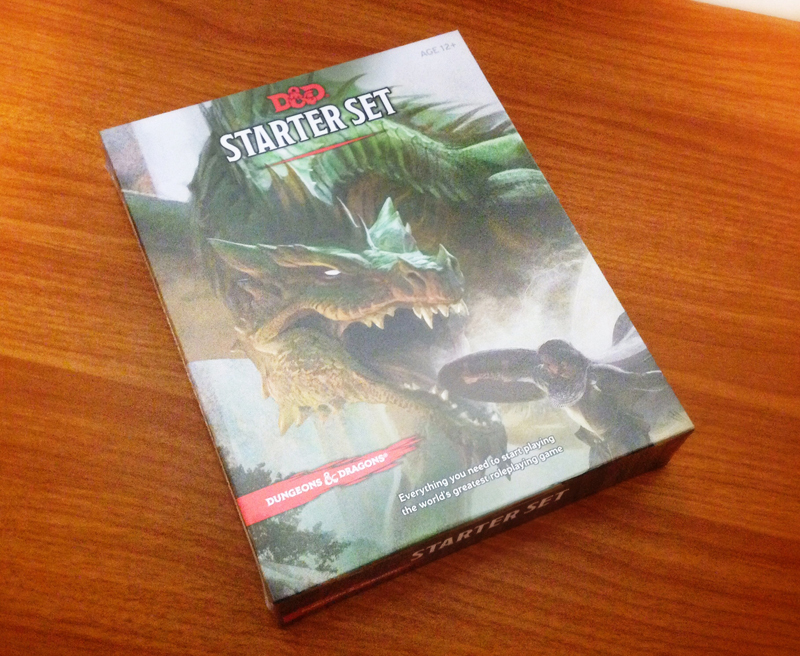 I was able to get my hands on a copy of the Dungeons and Dragons Starter Set on Thursday. It’s a boxed set that I had been looking forward to for some time. My D&D gaming ended around 2006 since college was the priority at the time, and it was the last time I ever played the game which I was introduced into with the Third Edition of the Forgotten Realms Campaign Setting, an incredible book I still regard highly. I just recently got back into RPGs last year with Numenera and thought I would take a look at the game that originally brought me into the hobby. As luck would have it, the store I drove to had an event lined up for the new starter set’s release and I not only got a copy of the boxed set, I also played a bit of the included adventure, Lost Mine of Phandelver, with some people. There’s bound to be a ton of detailed reviews on the set, so I thought I would give some brief thoughts on the game and the adventure, as well as provide a few photos. Back of the Dungeons & Dragons Starter Set Box. 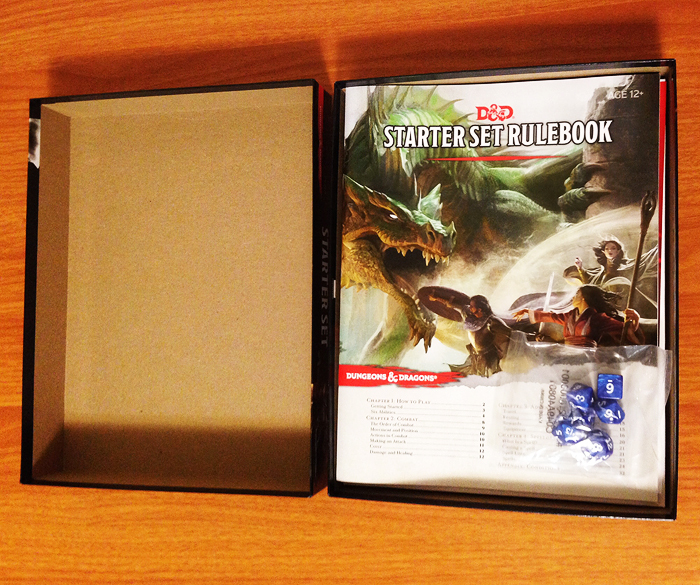 Dungeons and Dragons Starter Set open box. 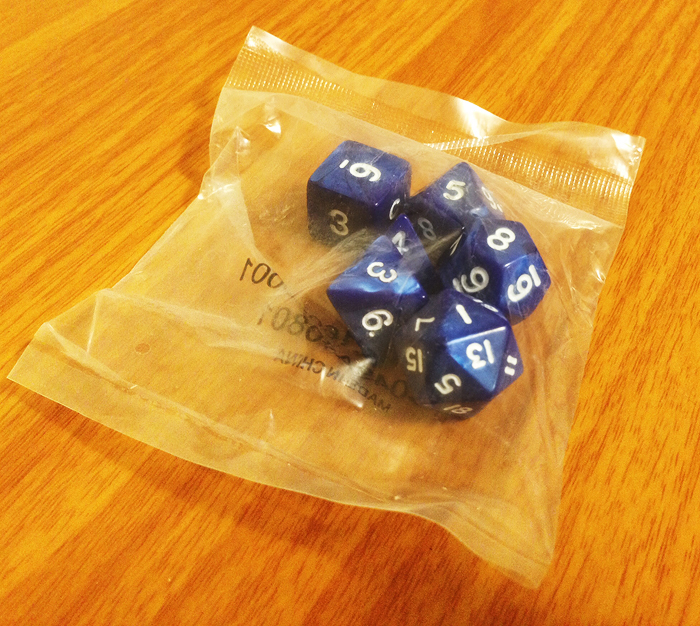 Bagged dice that comes with the Dungeons and Dragons Starter Set. Pre-generated characters included in the Dungeons and Dragons Starter Set. 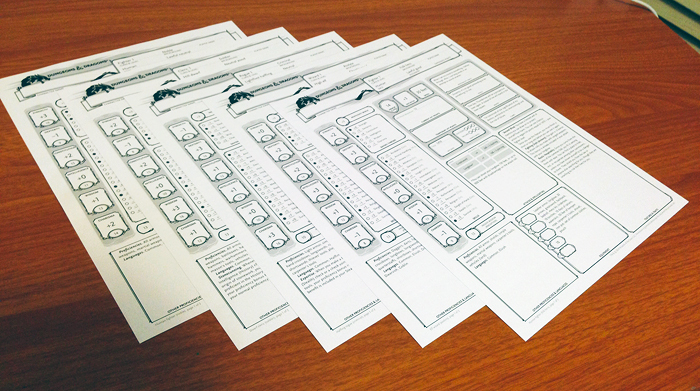 The set comes with a cardboard box, six dice, five pre-generated characters in the form of five sheets of paper, a D&D Encounters Ad sheet which also serves as a blank character sheet, a 32 page rulebook and a 64 page adventure book titled Lost Mine of Phandelver. The actual box is pretty sturdy considering it’s thinner than what I’ve come to expect from boxed sets. The dice included are comprised of 1d6, 1d4, 1d8, 1d10, 1d12 and 1d20, and are made of pretty good quality. 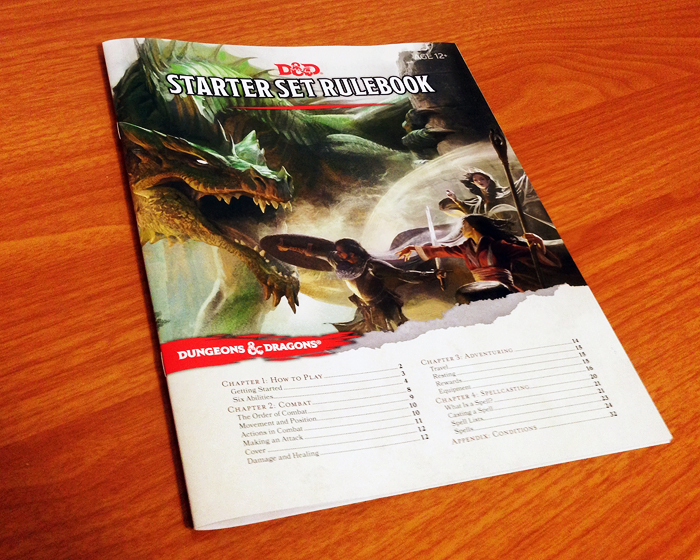 The rulebook and adventure book quality is similar to high end glossy magazine paper. 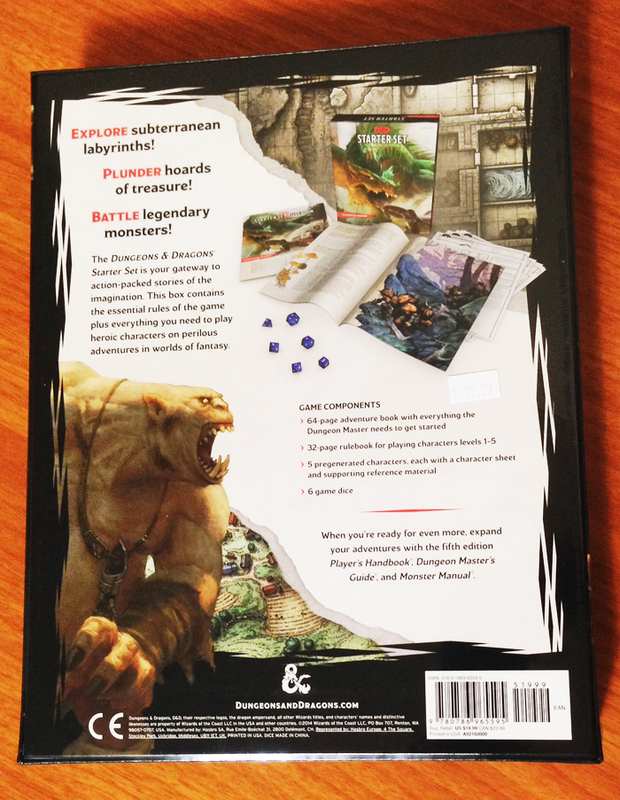 The rulebook book included in the Dungeons and Dragons Starter Set. 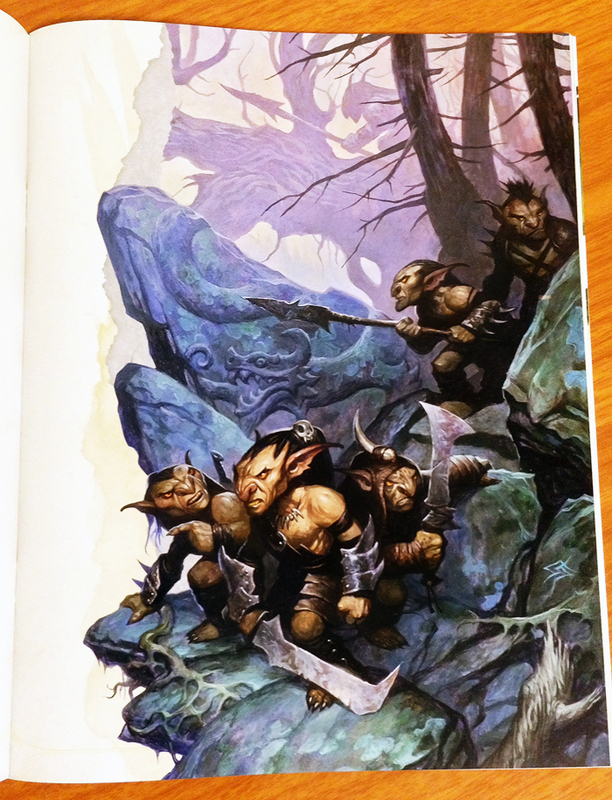 Art piece from the Dungeons and Dragons Starter Set rulebook. The art production quality as expected from Wizards of the Coast is excellent throughout the board. I love the image of the adventurers confronting the green dragon which is shown on the cover of the box and replicated on both the rulebook and adventure book. The rulebook is short and does a pretty good job of breaking down the rules and providing many examples to some rules that new gamers may not fully grasp at first. It was fairly easy to understand since I am familiar with third edition, but that’s not to say I didn’t find anything new. One of the new mechanics I thought was pretty clever and adds incentive to the players’ imagination is Inspiration. Basically, if the player roleplays their characters well given their personality traits, they can be rewarded an inspiration where they can use the reward to the added benefit of an attack, ability check or saving throw. Lost Mine of Phandelver adventure included in the Dungeons and Dragons Starter Set. 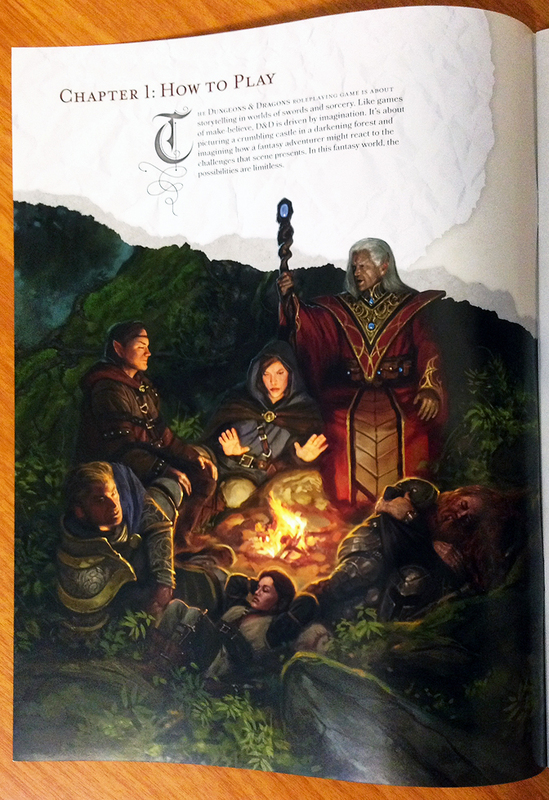 Art piece from the adventure book the Lost Mine of Phandelver included in the Dungeons and Dragons Starter Set. 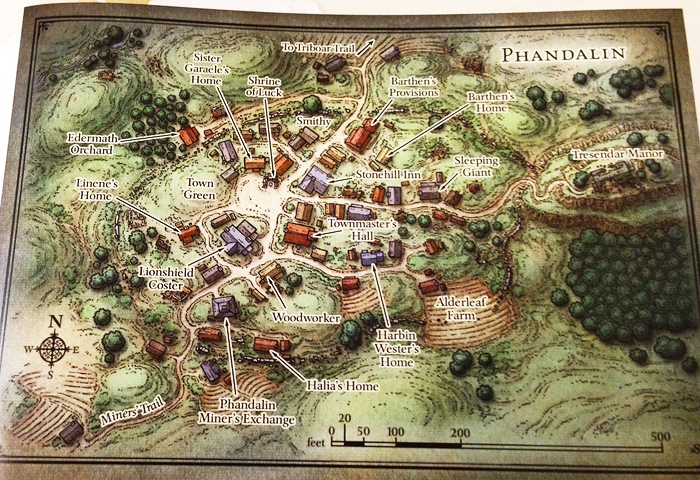 Map of Phandalin from the adventure Lost Mine of Phandelver from the Dungeons and Dragons Starter Set. 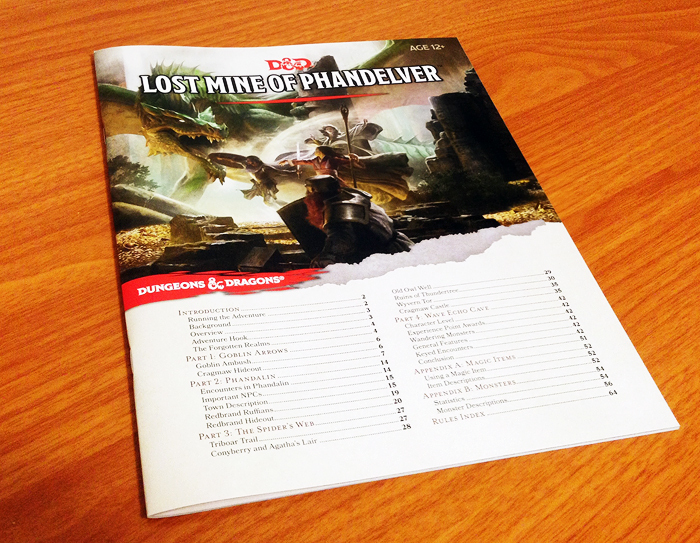 I got the opportunity to play the included adventure Lost Mine of Phandelver with some people and I really enjoyed it. Other than the main quest, there’s a lot of other interesting adventures to jump into that don’t involve the main antagonists. The game begins with a rescue mission at a Goblin lair, and involves the Sword Coast in the Forgotten Realms setting. The adventure then develops into the search for the lost Phandelver mine and the introduction of the villain and his cohorts. The adventure is pretty long (I don’t think we even made it to the halfway mark) so you’re not going to complete it in one sitting. In addition, the adventure also has guidelines throughout giving new Dungeon Masters pointers on how to run the game. The only drawbacks I found in the set are few in the technical side of things. I wish the box was a bit thicker, and the gorgeous maps from the adventure were separate foldout posters. My original intention was just to get the starter set and not any of the main books which are scheduled to come out soon. But I was fairly impressed with what I saw in the set that I’m at least going to take a look at the Player’s Handbook which is scheduled to come out next month. I think the Dungeons and Dragons Starter Set is a pretty good product for people that are interested in getting into the hobby, or wanting to get back into the D&D fold. You’ve got everything in the set you need to play, and play quickly with the short rulebook and an adventure that’s detailed and extensive enough to get a good idea what the game is all about.